Dr. Alan graduated with a Bachelor of Science (majoring in Anatomy and Physiology) at the University of Queensland in 1994, and completed a Masters of Chiropractic at Sydney’s Macquarie University at the end of 1995. He has worked as a Chiropractor for over 20 years – how time flies! 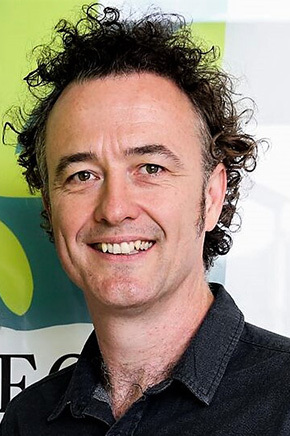 In 2004, he opened Windsor Chiropractic with his wife, Marion as Chiropractic Assistant, and then opened Stafford Chiropractic & Wellbeing Centre in 2013 to provide a greater range of holistic health care services to their clients and the wider community. Before moving to Brisbane, Alan practised in Coffs Harbour, the Gold Coast, and in the oldest clinic in Scotland (celebrated 75 years in 2015). It has been a fantastic journey. Alan has worked hard to master and combine traditional adjusting techniques with the latest scientific research and technology. He’s qualified in Sacro Occipital Technique (SOT), Webster Technique, Impulse Instrument Adjusting, and is a registered Trigenics Physician and Certified Craniopath and Ergonomist. 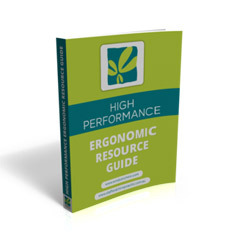 These techniques have a fantastic application beyond the usual neck and back problems, all of which helps deliver quality care in our special interests: Family Wellbeing, Pregnancy and Children’s Health, Optimal Sports Performance, and Ergonomics. Alan and Marion are most proud of what they have achieved with our own family’s health, which has put Al’s skills, knowledge and belief systems to the test! Their three school-aged children have never had an antibiotic, and chiropractic is their go-to remedy for just about everything. The great success they’ve experienced with their family’s health has given Alan a lot of certainty about the way he practices. His parents, who are of retirement age, have enjoyed exceptional health due to an inspiring lifestyle, which has had a huge impact on the way Alan approaches everyday living. Thanks to a tremendous support network, he has maintained great family health with minimal intervention. Our team of health professionals can provide you with the same level of support if that’s what you’re looking for. We would love to help you and your family achieve their health goals! ‘Nature needs no help, just no interference’. This principle is applied best through the delivery of a Chiropractic adjustment. The various techniques used in our office aim to clear interference (or communication problems) between the brain and the body, particularly the spine, which can help the body to heal itself. We also advocate for a lifestyle that avoids ‘unnatural’ additions to our food, harmful chemicals in cleaning products and beauty products, and so on. And let’s not forget interferences to our mental, emotional and spiritual health. The saying ‘Prevention is better than a cure’ has been thrown around by health professionals for many years, but more recently the area of ‘Wellness Science’ has taken this to a whole new level. Wellbeing is about achieving optimal health, rather than just the prevention of disease. Much has changed since Alan first went to see a Chiropractor, thankfully! Ultimately, we aim to motivate you towards lifestyle habits that will make you thrive. Thank you for visiting our site. If you have any questions, please call or click on the ‘Email Us’ button at the top of every page. When you’re ready to take action, ring us at Stafford Chiropractic and Wellbeing Centre to arrange your first visit: (07) 3356-9552.